The global rise of design is intimately entwined with the spread of neoliberal economics. A key element of neoliberalism has been the consolidation of financialisation as one of its leading features. Here, the movement of money is often represented as something that circulates independently of things. However, artefacts play a key role in anchoring sources of future value. More precisely, how does design function in this system? How are the aesthetics of products, services and spaces shaped to work within financialisation and the creation of assets? 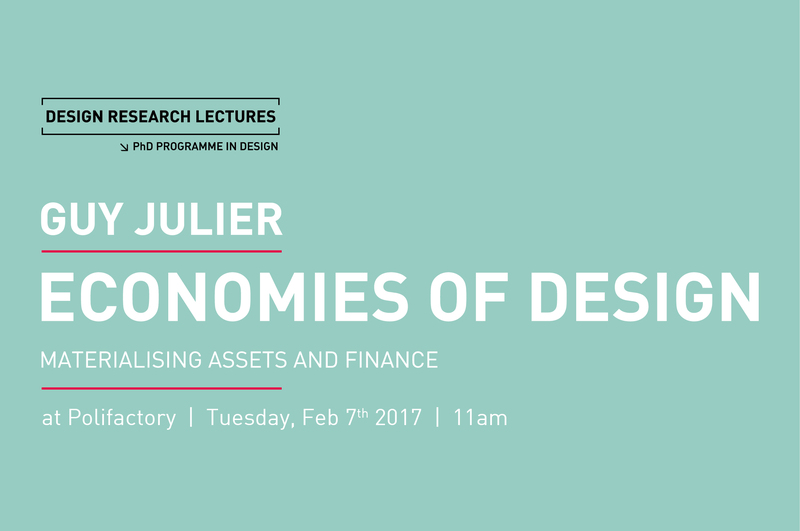 This lecture, drawing from Guy Julier’s forthcoming book ‘Economies of Design’, presents a unique view onto the relationships of design and economics, focusing, in particular, on the roles of retail design and of intellectual property rights. 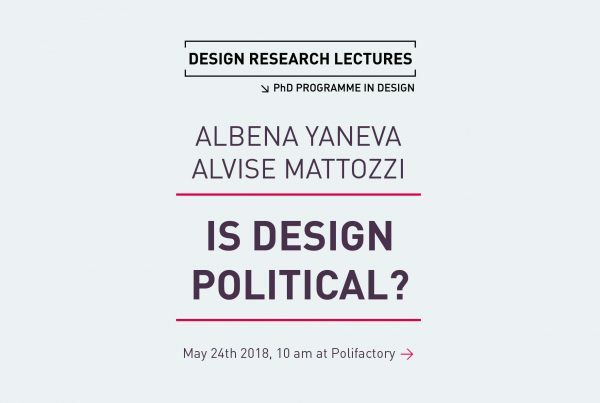 Guy Julier is the University of Brighton/Victoria & Albert Museum Principal Research Fellow in Contemporary Design and Professor of Design Culture. He is also Visiting Professor of Design Studies at the University of Southern Denmark in Kolding. He has been Honorary Professor at the Glasgow School Art and Visiting Fellow at the University of Otago, New Zealand. He is an editorial board member of the ‘Journal of Visual Culture’ and ‘Design and Culture’.